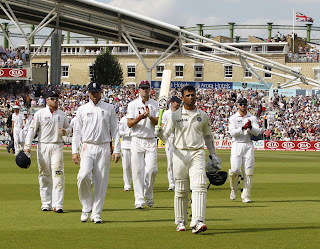 Rahul Dravid: Rahul Dravid: The One Man Army! Rahul Dravid: The One Man Army! 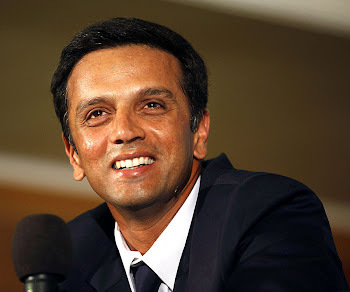 Sometimes I wonder what Rahul Dravid would do after he retires from cricket - will he be a cricket coach? Or a commentator? Or just a common man enjoying his time with his family? Well, I have got a suggestion for you , Mr. Dravid. How about writing a 200 page book -"How to stay fit at 38"? (the word "fit" covers both mental and physical fitness). I will be the first to buy a copy for myself! You got to salute a sportsman with such levels of temperament and determination. It was Rahul Dravid yet again playing a lone hand for his team - trying to save Team India from a 4-0 whitewash against the mighty English team. He opened the 1st innings with Sehwag and stayed till the end, unbeaten on 146* from 266 balls. It was for the first time that Team India managed to reach 300 mark, thanks to Mr. Dependable. After having batted for 2 sessions, to everyone's surprise, Rahul Dravid was back to open in the 2nd innings for Team India. The way he was playing, there seemed only one man who could get him out - The Umpire. After the on-field umpire turned down an appeal for catch off Swann's bowling, Strauss decided to go for a review. The hot-spot showed no evidence of edge and neither was there any sound to confirm an edge. But Mr. Davis, out of nowhere, declared him out and the brave soldier of Team India had to walk back to the pavilion in frustration of leaving his job undone. It would be a shame if India goes on to lose this game by an innings. his philosophical mind will go a long way in deciding the future of indian cricket. he has to be an administrator. we enjoyed his statements when he was the captain, talks to the point. 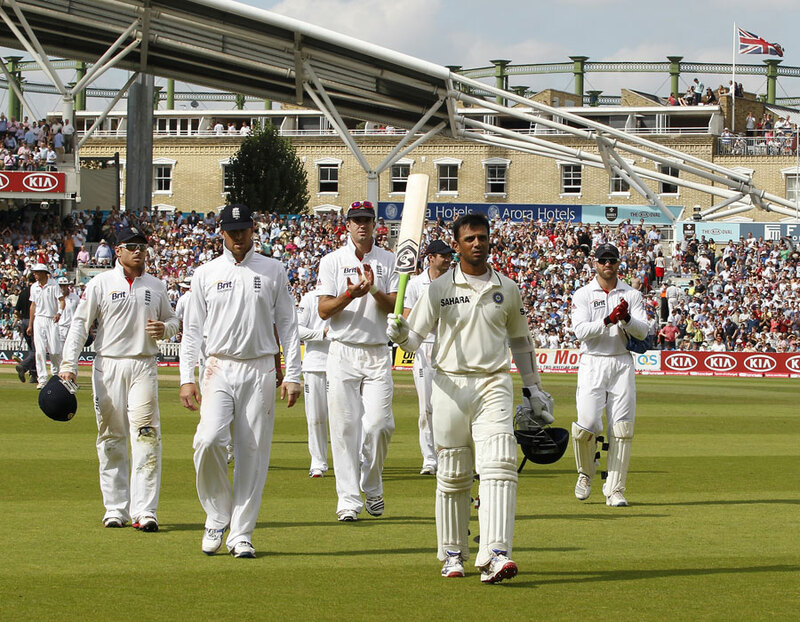 Dravid must step out of the shadows of Tendulkar.